A diagnosis of infertility often leads to an unsettled, heart-wrenching period in a couple’s relationship. The emotional roller coaster ride of infertility is simply exhausting. I have been down that road myself, and I hurt with you. No one understands unless they have been through it themselves. “We have this hope as an anchor for our soul, firm and secure. 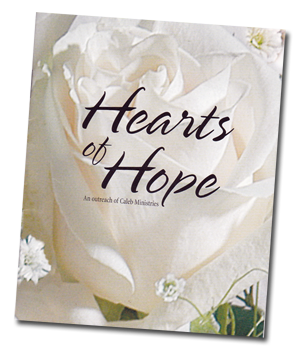 The story of my personal struggle with infertility is located under Real Stories or you can read my full testimony in Morning Will Come or order it on CD.